Taste test: These are good chips, with lots of black pepper flavor. 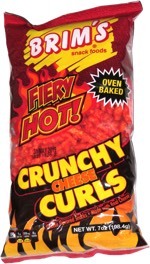 The flavor is intense so it feels like it has been cooked right into the chip, rather than just applied as a coating. The pepper is strong, but in a flavorful way  not so peppery as to bring tears to your eyes. 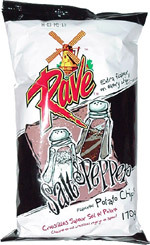 These chips were popular around the chip bowl, but some people said they had too much pepper and not enough salt.